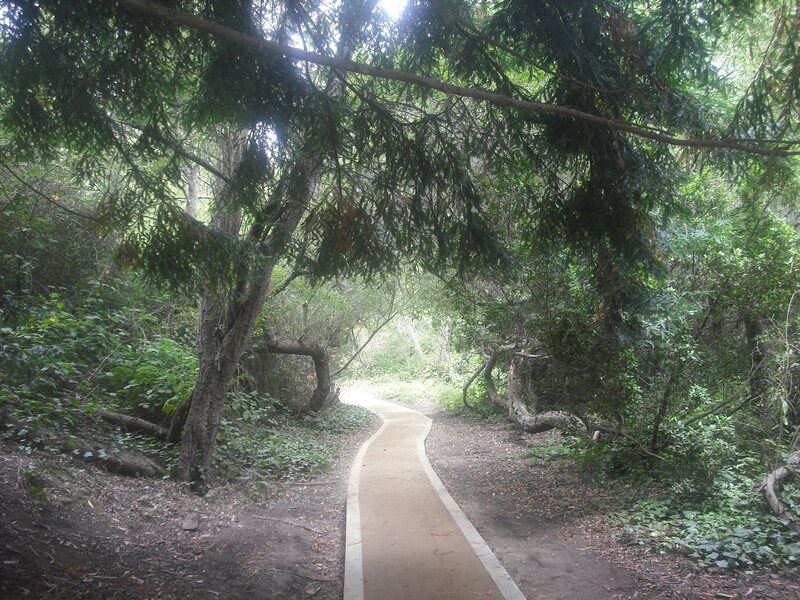 From the picture below, would you have any idea that this is in the heart of a major metropolitan area of the United States? That house in the upper right-hand corner is a clue that it’s not in the country (as is the utility pole on the path). 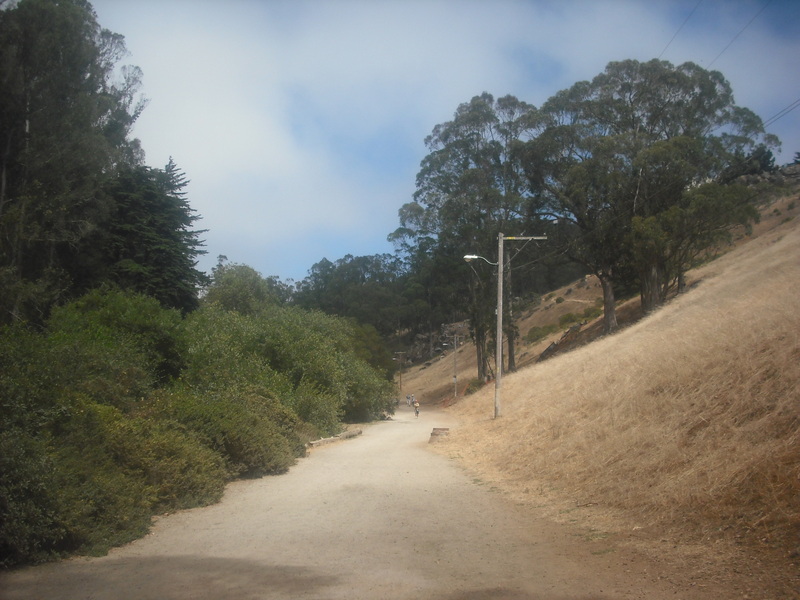 It’s Glen Canyon Park (more commonly called simply Glen Park by locals), right in the middle of San Francisco, if there is any “middle” to this irregularly shaped city. 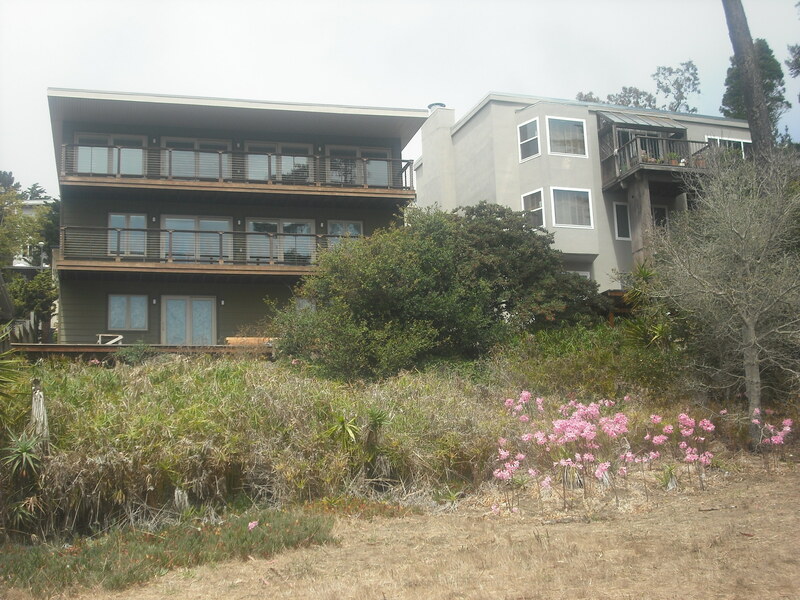 Despite its considerable size and fairly easy accessibility, it remains nearly unknown to many people who’ve lived here for years. 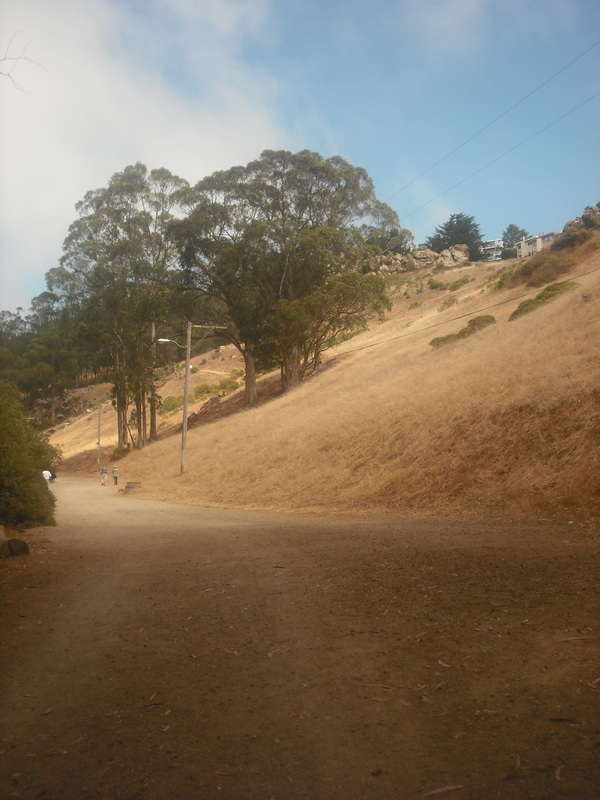 A friend I met here yesterday (to see the San Francisco Mime Troupe) had never been here before, despite living here for more than twenty years, and currently residing only a mile or so away. 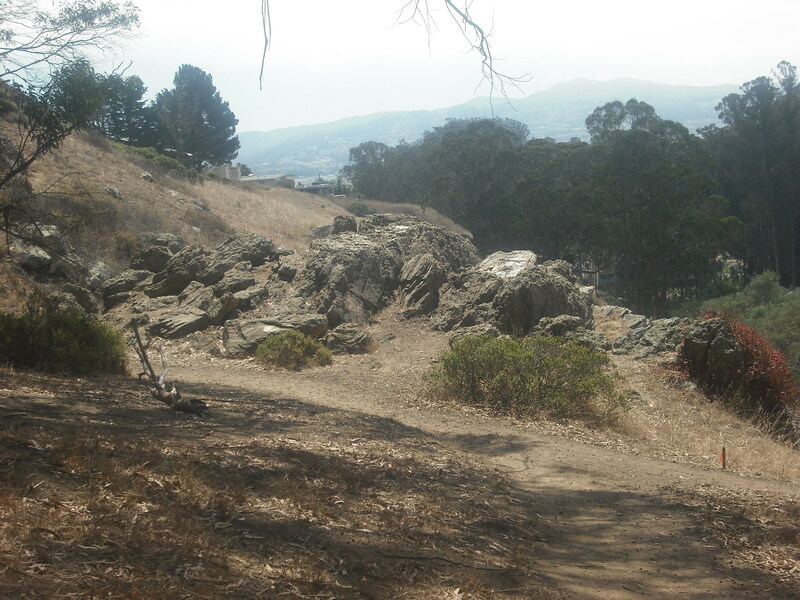 I came an hour early to walk along the park’s back trails, not having done so, to my embarrassment, for about 25 years, though I’d often played baseball here in the dozen or so years after that one hike. 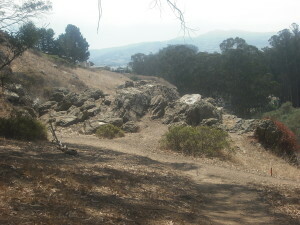 You’ve gotta dig pretty deep to get into the hilly, trail-covered open space in the pit of that photograph. Even then, it’s not so obvious to visitors who just visit the baseball/soccer fields and playgrounds that take up the most visited space near the bottom, as you need to go in back of the bathrooms and park buildings to get into the canyon proper. 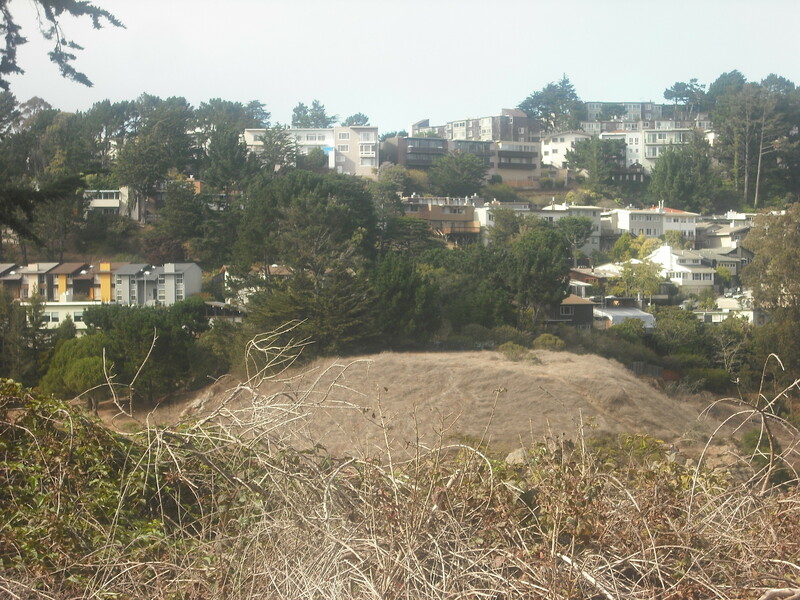 So it’s not quite “country in the city,” but check it out if you’ve lived here and wonder what’s down that big canyon that you can’t really see as you drive back and forth from the Mission to Golden Gate Park. 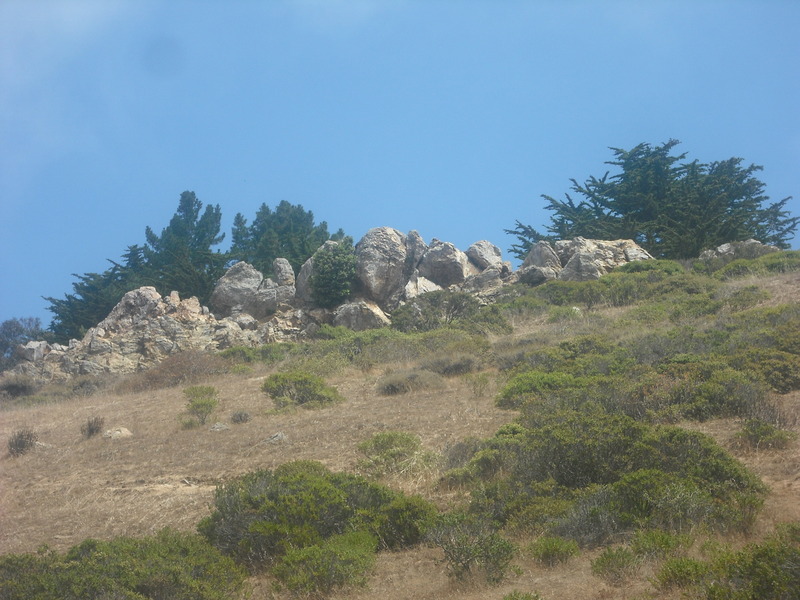 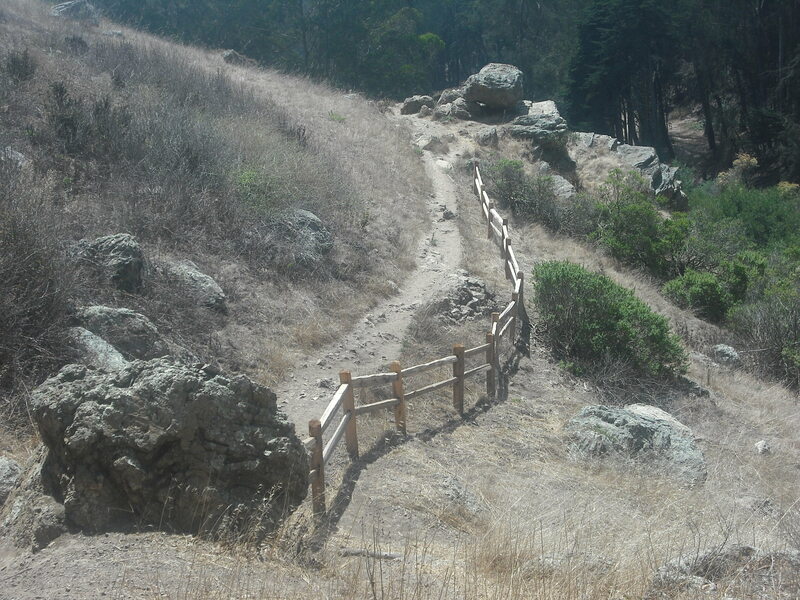 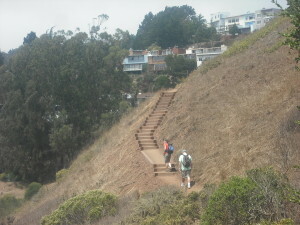 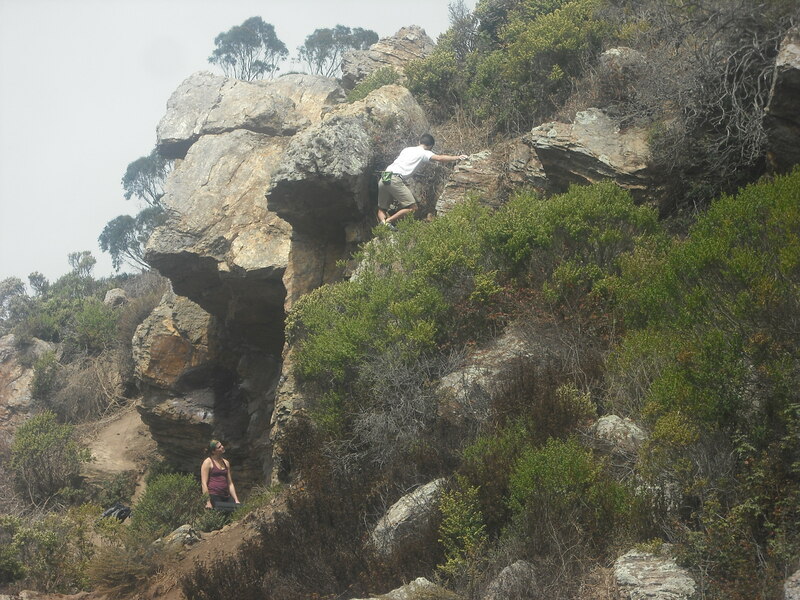 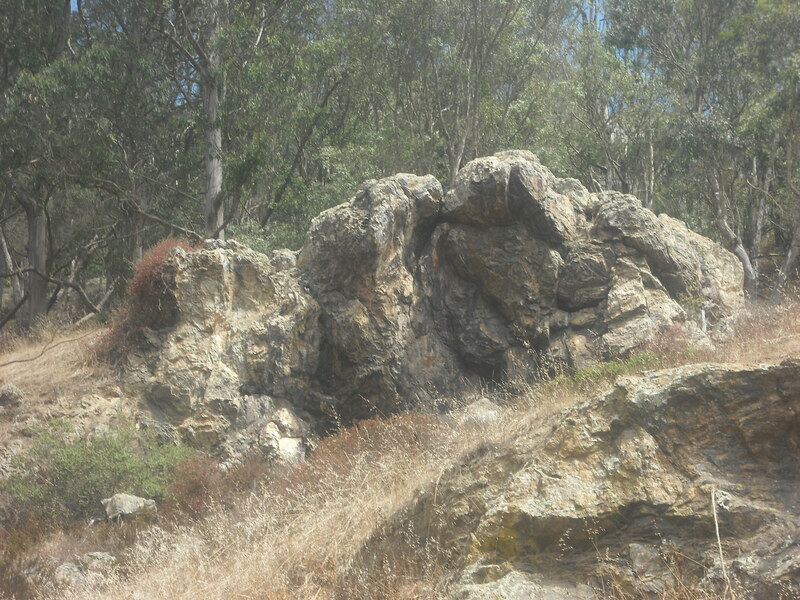 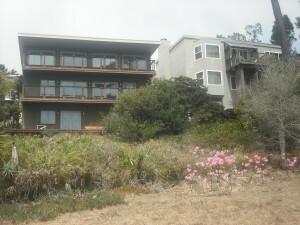 Click here for basic information about Glen Canyon Park.